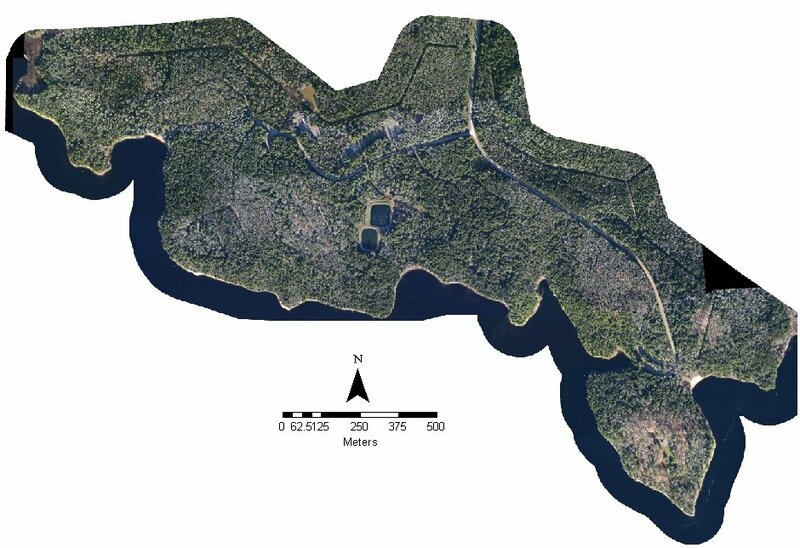 Below is a poster created showing a seamless ortho photo mosaic of Jeremys Bay Campground, Kejimkujik National Park and Historic Site created from several 25 cm resolution aerial photos flown while studying at COGS in 2003. The image has the location of campsites layered on top and was created for a Spatial GIS Vegetation Database and GIS Spatial Modeling project that I worked on during the summer of 2004. Here is a summer GIS project that I worked on for Parks Canada. 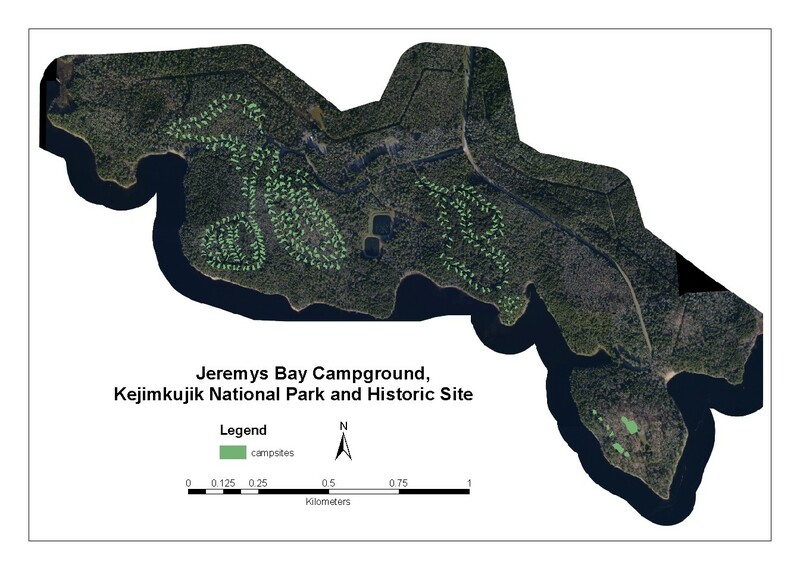 The PDF technical report details the methodologies and issues that were encountered with a Spatial GIS vegetation database and GIS Spatial modeling project at the Applied Geomatics Research Group (AGRG) during the summer of 2004 that involved generating a spatial geographic database for Jeremy’s Bay Campground of Kejimkujik National Park and Historic Site. 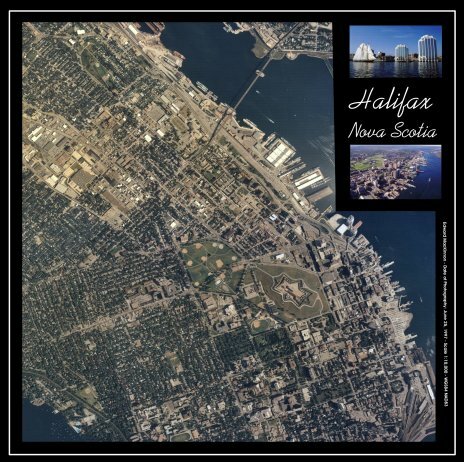 High resolution aerial photography acquired from a previous AGRG aerial photography mission was used along with extensive data collected during a Rapid Vegetation Assessment survey and a detailed forest stand interpretation. salamanders; Kejimkujik has more amphibians and reptiles than anywhere else in the Atlantic Provinces. The park is also home to many birds, especially common loons, and fish which include brook trout and white and yellow perch. In Canada, National Parks are considered places where ecosystems and ecological integrity should be maintained and Kejimkujik National Park is no exception. The project was divided into two main sections that were indirectly related to one other. The first major part of the project was the compilation of digital line work and the creation of a Geographic Information System (GIS) Spatial database of forest stands found within the campground. The second part of the project was focused on generating a GIS spatial database of the vegetation found within each campsite that was collected during a Rapid Vegetation Assessment (RVA) Survey. 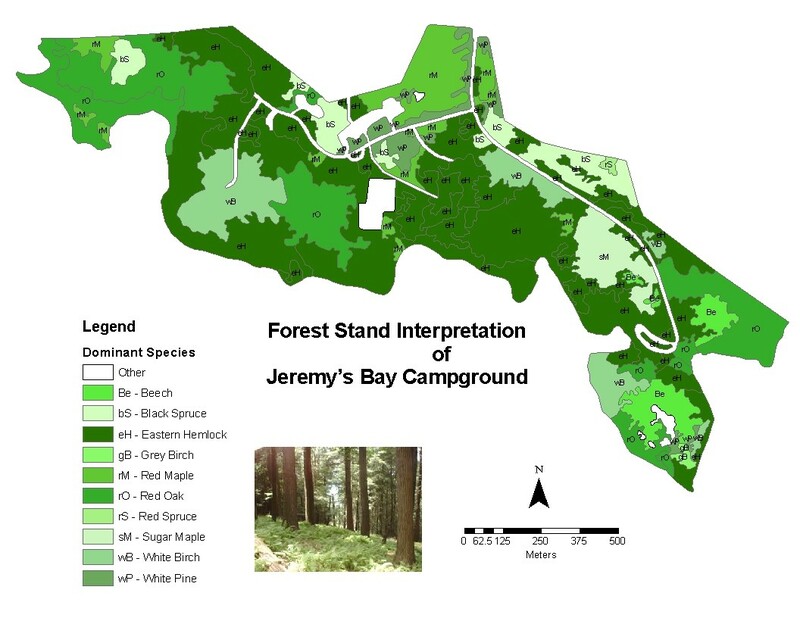 Click here for a Poster showing Spatial database forest stands in Kejimkujik National Park and Historic Site.